Need Low Cost Healthcare Supplies? HERO Is Here For You! 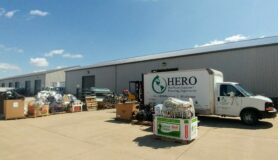 HERO stands for Healthcare Equipment Recycling Organization. 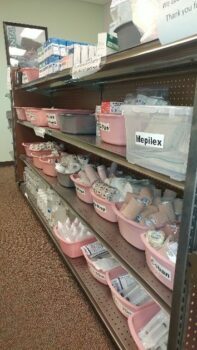 We do healthcare supplies. Affordably. 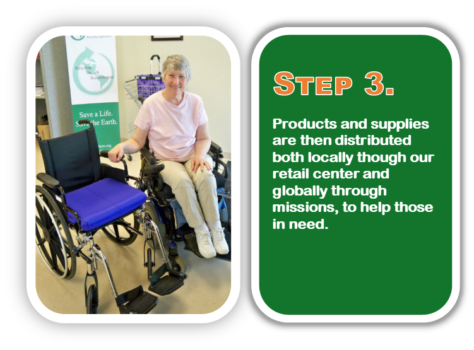 HERO collects and distributes donated healthcare equipment and supplies at low or no cost to benefit those in need locally and globally. 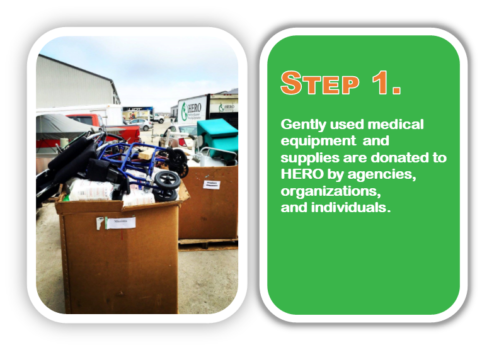 Our mission is to provide access to affordable healthcare equipment and supplies for all, through the collection and distribution of donated materials. HERO was founded by local operating room nurses in 1996. 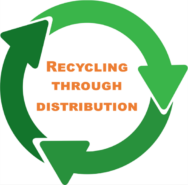 It was granted 501(c)3 nonprofit status in 2000 and became the first medical surplus recovery organization in the nation to establish a retail store in 2003. HERO serves all age demographics and income levels locally, regionally, and globally. What kinds of resources and services does HERO provide? 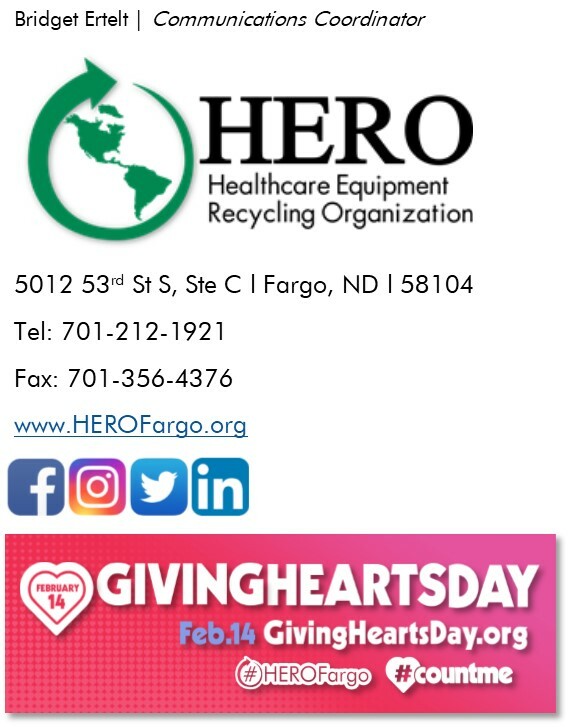 HERO offers low cost medical equipment and supplies in our retail store located in South Fargo. 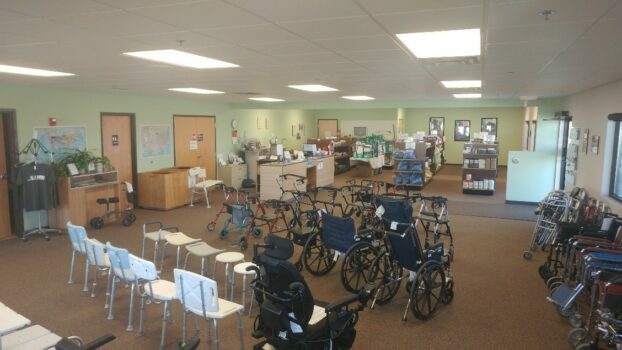 Walkers, wheelchairs, crutches, shower chairs, hospital beds, incontinence supplies, wound care supplies, rehab supplies, and much more. All are welcome to shop at HERO. We serve individuals at any income level and even offer waived fees for those dealing with financial hardship. 1 in 3 who walk through our door at HERO receive their items for free. 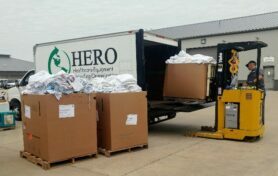 HERO also offers medical supplies to mission teams traveling all over the world. We help provide them with the resources they need to perform life changing surgeries and procedures to those who otherwise would not be able to afford them. How is HERO making an impact? Locally? Globally? Environmentally? 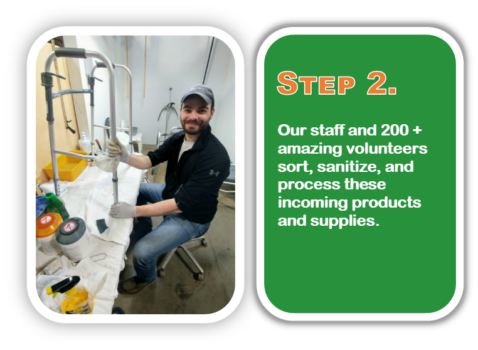 HERO is proud of our growing statistics because each year we are serving more individuals locally and globally as well as saving thousands of pounds of material from landfills. HERO is located at 5012 53rd St S, Ste C in South Fargo. 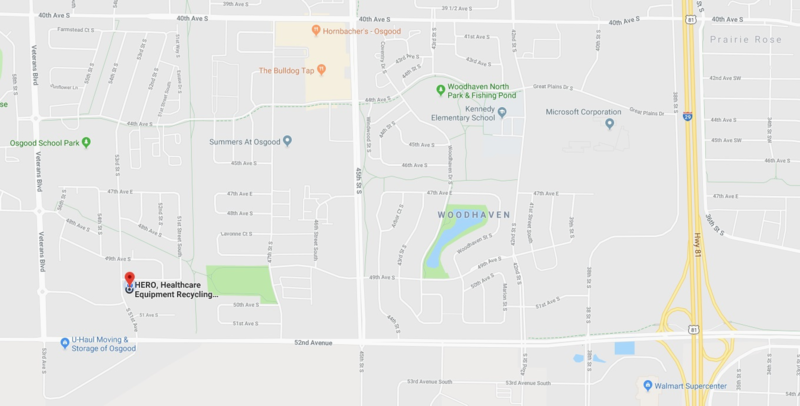 We are on the right side of 53rd St in the Linn Grove Commercial Center just one block north of 52nd Ave. HERO is open Monday through Friday from 9:00 am to 5:00 pm. Our inventory changes daily and we invite you to come see what we have available or call ahead to see if we can help you find what you are looking for. To learn more about HERO and how you can be a part of our mission please visit our website. If you would like to learn more about our waived fee program, please complete the recipient information form by clicking the link below and call us at 701-212-1921 for further instructions on how to qualify. To donate supplies or monetary support for our mission please click on the link below.